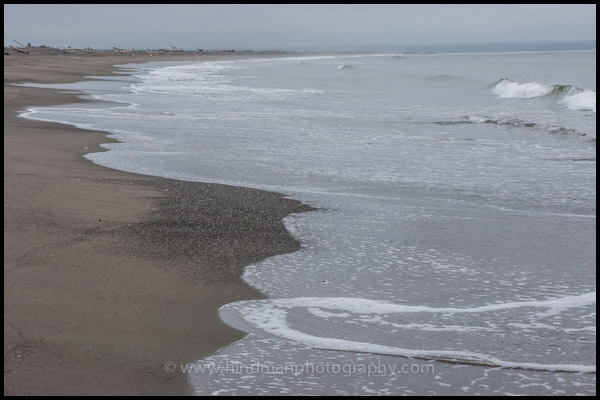 I spent a morning at Damon Point near Ocean Shores on the WA coast a couple of weeks ago. 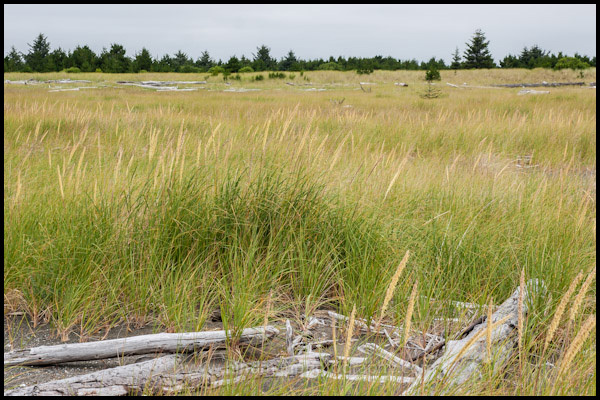 It is 61 acres of beach, dune grasses and a few trees. It is perfect habitat for Snowy owls and this is one of the spots where a few spent the 2011-2012 winter. 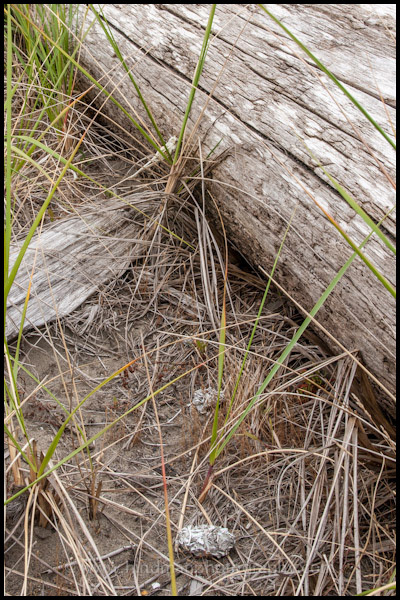 I walked the beach along the ocean side for a while then headed up into the grassy area scattered with driftwood. I walked over to a log and saw a bone laying on it. Then I saw an owl pellet laying on the ground. Then I saw another. 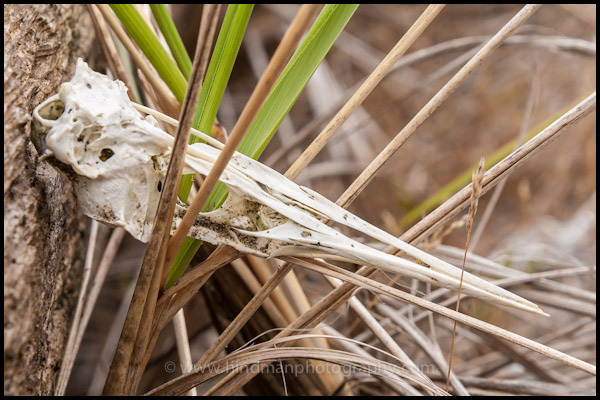 Then I saw a bird skull, then another pellet, then 2 more bones. I was buzzing with delight as my mind worked to piece together the scene of the Snowy sitting here tearing up the prey and hours later spitting up a pellet. I’m 90% sure it was from a Snowy. The remains were quite weathered and it was a classic perching area. I have a guess of what kind of bird the skull is from and am checking that out. So this is what it’s all about for me…..discovery and the celebration of wonder! 21 Aug	This entry was published on August 21, 2012 at 10:27. 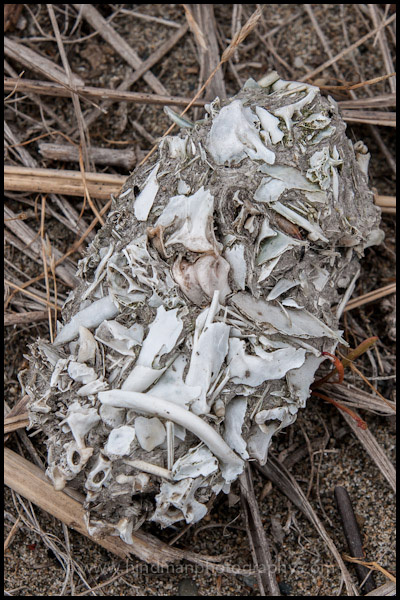 It’s filed under Birds, Coast, Nature, Pacific Northwest and tagged arctic owl, bird, bird skull, Damon Point, discovery, driftwood, inspiration, natural history, nature, Nyctea scandiaca, owl, owl pellet, predator, prey, raptor, SNOW, Snowy Owl, snowy owl habitat, WA, Washington coast, Washington State Park. Bookmark the permalink. Follow any comments here with the RSS feed for this post. Nice nature sleighing. And great photos!